Jeddah: Community focused campaign ‘Creativity for a cause’ by Philadelphia Cream Cheese from Mondelēz International (formerly Kraft Foods) that commenced in March this year has advanced into its final phase with the selection of the three most creative ideas by the campaign’s mentors from a diverse range of over 600 entries submitted across the GCC. 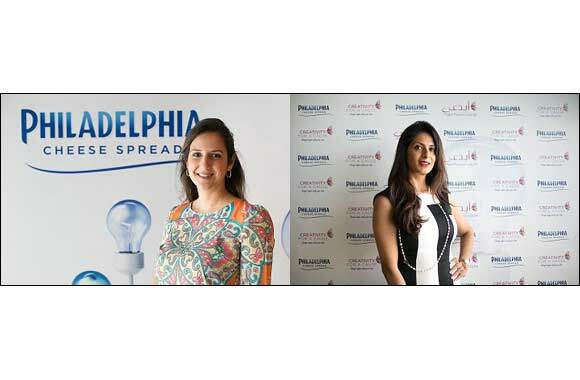 The finalists attended an exclusive mentor’s workshop conducted by the campaign’s panel of mentors and the ideas are now up for public voting via www.phillyarabia.com or https://www.facebook.com/PhillyArabia. The mentors and shortlisted candidates gathered for the workshop in Dubai to develop their respective concept into a showcase video that would assist in inviting the public to vote for their most preferred community idea. The panel of mentors addressed different areas of each idea at the workshop by lending their years of experience and know how in community work to shape the idea into a workable model for the benefit of the community. They also inspired and motivated the finalists to believe in their idea and not give up and facing the challenges bravely. The finalists will be invited to a Gala Brunch in Dubai where the winner and runner-up will be announced. The collaboration between the public and the panel of judges will not only help determine the most creative idea but the public support gathered will also help to determine the amount of prize money the winner will receive to further their cause. The second highest voted idea will walk away with prize money worth the number of votes garnered, whereby each vote equals AED5. “It was an intensive and an enriching session with my mentor who provided me with concrete advice via rigorous training at this workshop on the finer nuances of bringing my idea to life. All of us are hoping for maximum votes to pour in and we are eagerly awaiting the final outcome”, concluded finalist. The public is invited to vote online for the most unique community-focused idea from now until 11th May 2015 on www.phillyarabia.com or https://www.facebook.com/PhillyArabia.